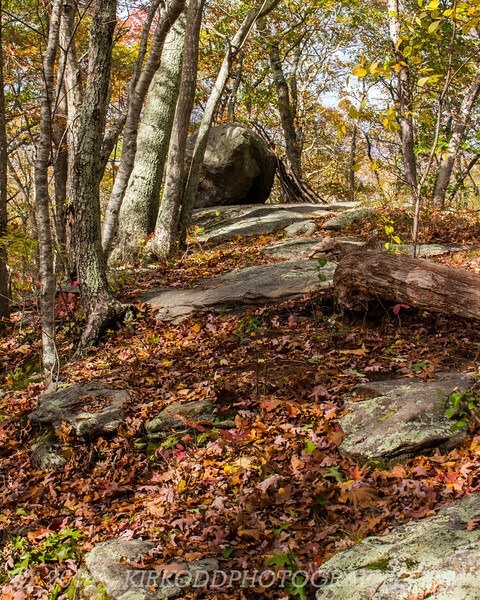 Council Rock is a large boulder on top of a hill near of the Forest Loop Trail of the Pequotsepos Nature Center in Mystic, CT. It is a glacier erratic, meaning the rock is different in composition from the surrounding rocks, and was likely transported by a glacier from miles away. Legend has it that Council Rock was the centerpiece of Native American tribal councils that took place hundreds of years ago. This photo was taken by Kirsten.